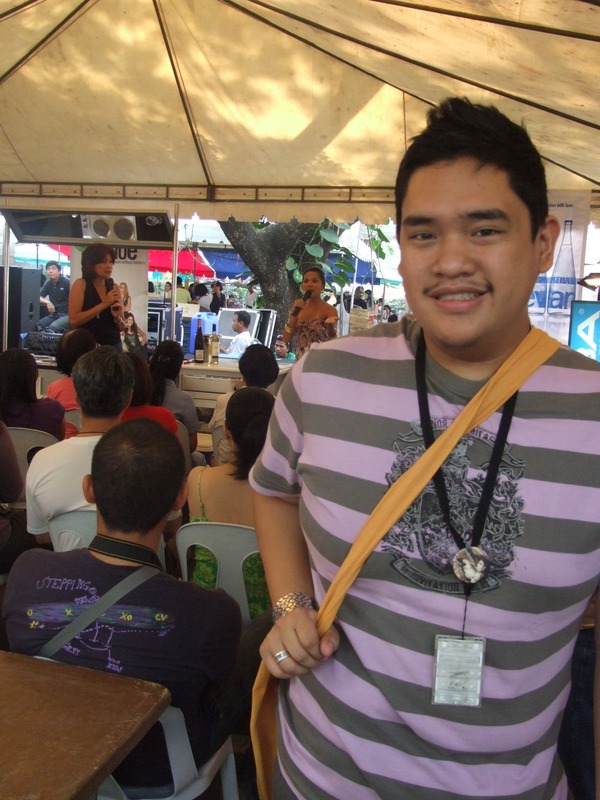 This is me channeling Grimace and Hamburglar’s love child at the first leg of 2nd Avenue‘s Urban Weekends held yesterday morning at the Salcedo Community Market. In this two-leg event, our channel officially welcomes the summer by turning two of the Metro’s most popular weekend markets into hip and happening culinary destinations. And with that, we’ve invited some of the most sought-after names in the local culinary scene to share what they know. 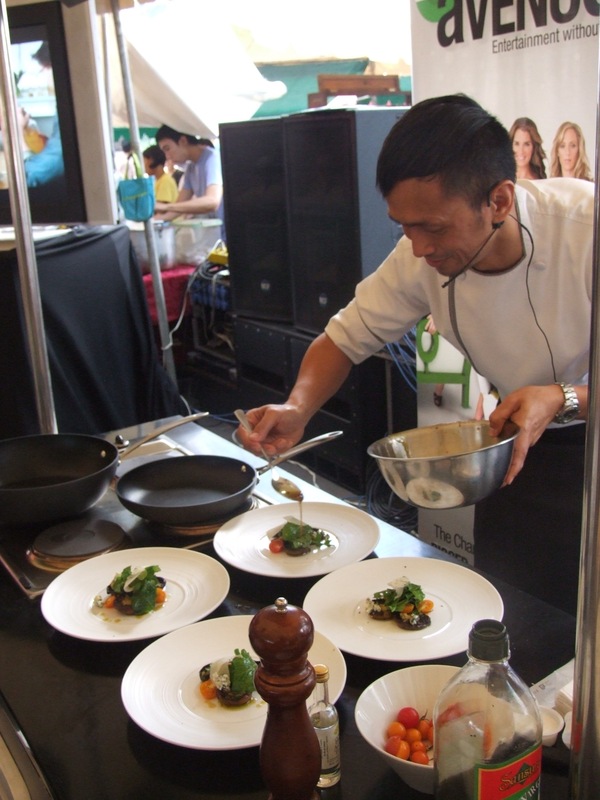 For the first leg, our special guest was Master Chef Sau del Rosario. Clad in cargo shorts and what looked like hiking shoes, the ruggedly-dressed gourmand impressed the audience by whipping up a portobello mushroom salad with ingredients purchased from the venue. Aside from being a fine chef, he was also quite an engaging speaker. He kept the audience entertained as he served samples of his finished product. Later in the program, the guests were then treated with an informative wine talk by expert Daisy Marquez from the Mondovino Company. 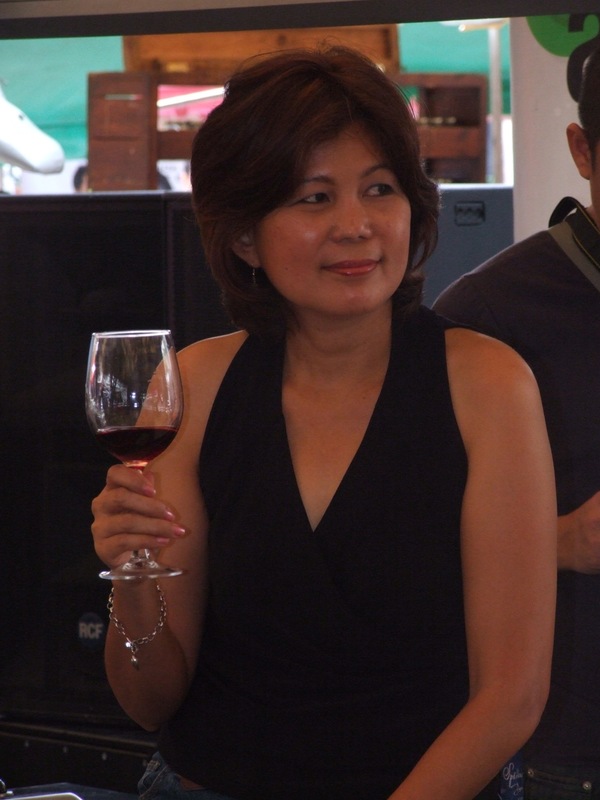 She shared to us the basics of wines, including which type goes with what dish and why we swirl before drinking. The talk was quite entertaining and I loved that the guests were asking questions. Though I think it the samples would’ve tasted better if they were served in actual glasses and not in plastic cups (a limitation considering the venue and the number of guests). But paraphrasing what our host Gelli Victor said during the program, “Any excuse to have wine early in the morning is good enough”. Come noon time, I was already exhausted and tipsy – an awkward state to be in broad daylight, I must say. So at around 12:30, I went back to the condo for some much-needed catch-up sleep. Can’t wait for the second leg this April 18th at the Legazpi Market! 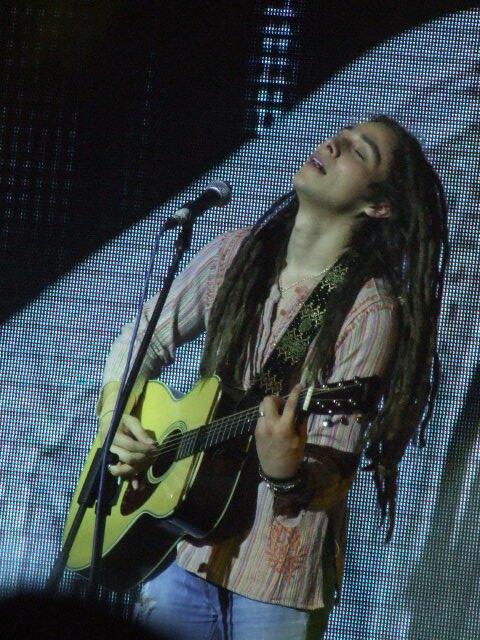 I missed 3/4 of Jason Castro‘s Glorietta 5 show last Friday, but I did manage to take a few pictures. This is my one decent shot of the American Idol Season 7 fourth placer performing Jeff Buckley‘s Hallelujah. 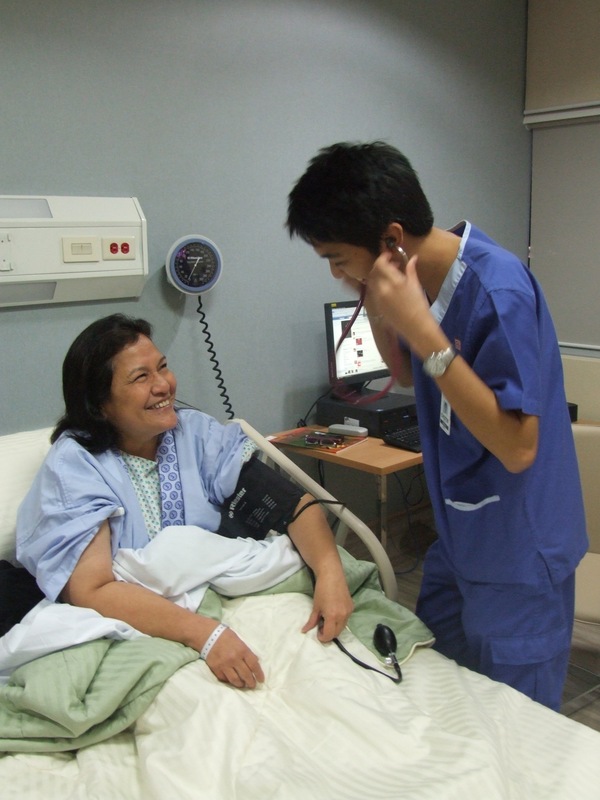 …But doesn’t this photo scream “Hospital Brochure” to you? My personal “coverage” of ABS-CBN’s Oscar 2010 telecast: Since we don’t have Velvet in our office and I would’ve been beheaded if I watched it in that channel anyway. LOL! By the way, I missed about 15 minutes of the show thanks to the horrible Monday traffic, so I hope I can catch the replay as soon as possible. 10:15 AM– Arrived just in time to see the second half of Christoph Waltz’s Best Supporting Actor acceptance speech for Inglourious Basterds. This time, I’m actually thankful for ABS-CBN’s padded commercial breaks. 10:22AM – Best Animated Feature nominees announced through an amusing montage of mock interviews with the animated characters; “Up” wins. An obvious pick, really. 10:40AM – The Princess and the Frog suffers Multiple Nominee Curse. T-Bone Burnett and Ryan Bingham bag award for Crazy Heart. Wait, isn’t Ryan Bingham also the name of the protagonist in Up in the Air? 10:48AM – Mark Boal wins Best Original Screenplay for The Hurt Locker. Could this be the start of a clean sweep? 10:55AM – Matthew Broderick and Molly Ringwald introduce an emotional tribute to John Hughes, the Father of Teen Angst; Tribute ends with other Hughes “orphans” taking the stage. OMG, Macaulay Culkin! 11:04AM – “Agua Bendita” sounds more like a water refilling station than title of a soap opera. Oh, excuse me, “teleserye”. 11:06AM – Zoe Saldana and Carey Mulligan sashay down the stage to present awards on Short Films. Zoe’s legs were practically drowning in that gigantic puffy train. 11:11AM – Scene-stealer of the night: Ben Stiller entering the stage dressed as one of the blue aliens in Avatar. I pity his pores. 11:12AM – Aptly enough, he presents Best Make-Up. Star Trek wins. 11:14AM – Enchong Dee swims like an orca. 11:21AM – Jake Gylenhall and Rachel McAdams look somber while announcing nominees for Best Adapted Screenplay. A very emotional and tongue-tied Geoffrey Fletcher wins for Precious, though I was rooting for Up in the Air. 11:25AM – Jump cut to Robin Williams announcing nominees for Best Supporting Actress. What the hell is wrong with this telecast? Mo’nique bulldozes her competition with her haunting turn in Precious, gets standing ovation for her no-holds-barred acceptance speech. 11:32AM – Coffeemate commercial. Why bother serving bacon for breakfast if you don’t want your husband to eat it, b*tch?! 11:33AM – All right, Bianca Gonzalez, Balanced body=Healthy body. Got it. 11:38AM – Sigourney Weaver presents Best Art Direction award for Avatar. The battle is on! But for how long? 11:41 AM – Period drama triumphs again. The Young Victoria wins for Best Costume Design. 11:43AM – Avon commercial: “Kahit babae ako, marunong ako mag-negosyo”. Yes, lady. And believe it or not, you also have rights! Welcome to 2010. 11:48AM – I find the Paranormal Activity parody more entertaining than the actual film. 11:50AM – Why in Lon Chaney Jr.’s name is a Twilight: New Moon clip included in the horror movie montage? That’s not a horror movie. Horrific, maybe. But not horror. 11:57AM – The Hurt Locker wins both Sound and Sound Mixing Awards. Keep tally. I know you want to. Avatar – 1, Hurt Locker – 3. 12:02PM. – Come to think of it. Magkano nga ba ang aking dangal? 12:04PM – Avatar for Best Cinematography. To those keeping score, Hurt Locker still leads by 2 wins. 12:07PM – Juday and Gladys: Aren’t you both a little too old for catfights? Mara Clara ended in 1997. Get. Over. it. 12:18PM –Not a clean sweep for Hurt Locker. Up pulls an upset for Best Original Score. 12:19 PM – Did Gerard Butler just transfer his chunkiness to Bradley Cooper? 12:21 PM –At this point, Avatar stops winning. Last award is for Best Visual Effects. 12:30 PM –TV character actor Fisher Stevens wins for The Cove, a documentary that depicts dolphin abuse. Pretty timely, considering the recent Sea World tragedy. 12:32PM – The Hurt Locker wins Best Editing, after we were subject to plodding patter by Tyler Perry. 12:41PM –It seems that ABS-CBN omitted the “In Memoriam” montage (which also glaringly omitted Farrah Fawcett) and the presentation of the Best Foreign Language film (which Argentina won). Fail! In the mean time, Best Lead Actor nominees are each introduced by a former co-star. 12:49PM – Jeff Bridges wins for Crazy Heart – 38 years after his first acting nomination for The Last Picture Show. He delivers the most candid acceptance speech of the night so far. 12:53PM – Cherie Gil: “How DARE you? !” Angelica Panganiban: “How DARE you rin PO? !” *throws bags at Cherie* LOL! 12:58PM – I want Forrest Whitaker’s diet regimen. NOW! 1:03PM – Oprah’s introduction for Gabourey Sibide is, by far, the most “Precious”. 1:07PM – Sandra Bullock wins her first Oscar one day after winning her first Razzie. 1:09PM – Oh no she di-int! Did Sandra just snub Meryl Streep on the way to the stage?! 1:11PM – Bullock proves that aside from being a brilliant actress, she also has the ability to render you bi-polar. Her tearful – but also funny – acceptance speech now officially trumps Bridges’. 1:15PM – Barbra Streisand announces Kathryn Bigelow becomes the first female to win the Best Director Oscar. It would have been fun if she said “I’m Queen of the World!” Also, this is not the first time Babs announced a history-making win. She was also the presenter when Eminem’s Lose Yourself became the first rap song to win Best Original Song back in 2003. 1:16PM – Helen Reddy’s “Woman” is played in the background as Bigelow exits the stage. How apt. 1:18PM – Gee, that was abrupt. Tom Hanks completely skipped the announcement of the Best Picture nominees and went straight to the winner, probably making this the most anti-climactic winning moment in Oscar history. Oh well. Film snobs rejoice. THE HURT LOCKER WINS!!! 1:21PM – Ah, yes. Count on ABS-CBN to show Wowowee after the Oscars. From Class to Trash. 1:22PM – Pokwang just called herself “Sandra. Sandra Marudo”. Pucha, benta. 1:24PM – Willie Revillame looks bored. Makes you wonder why this show is even still on. …I’ll be a few thousand bucks richer today. 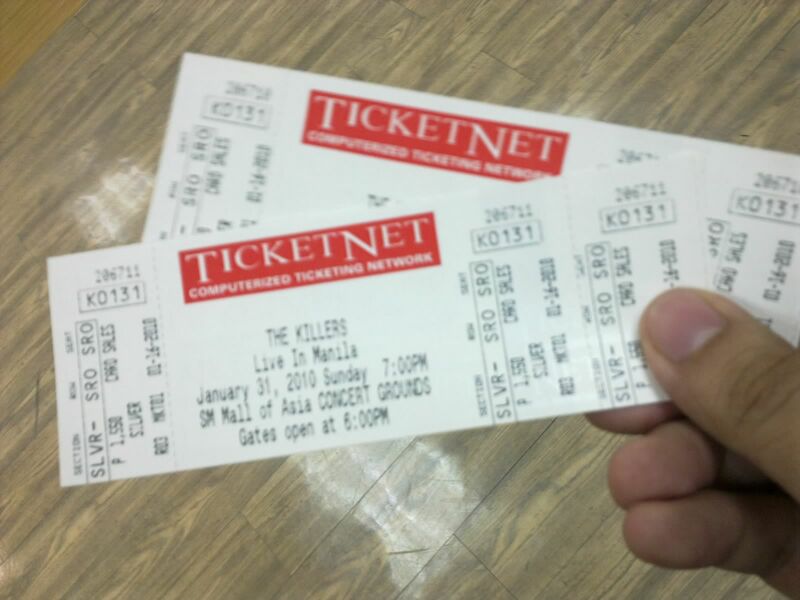 Off to Araneta in what would have been the afternoon of The Killers concert to claim the refund for my two tickets. I’m not the most organized person in the world. 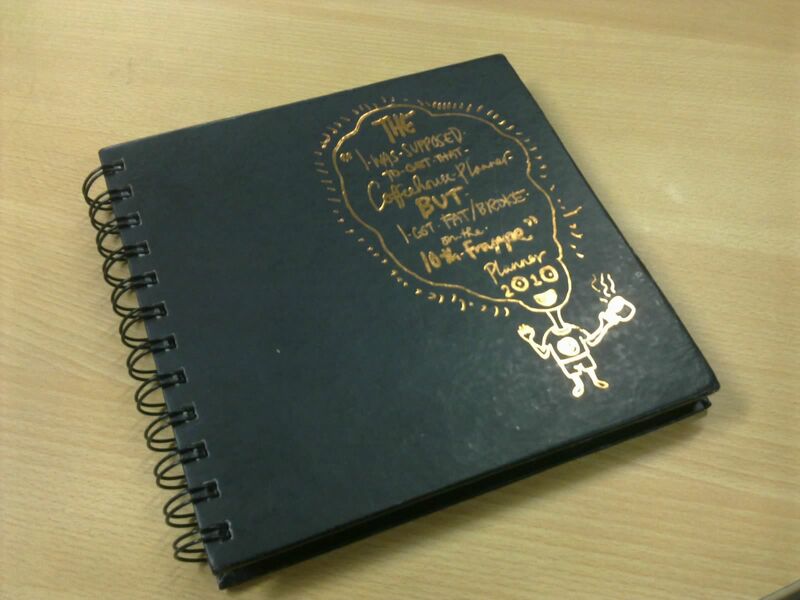 But I do have this fascination with quirky planners. 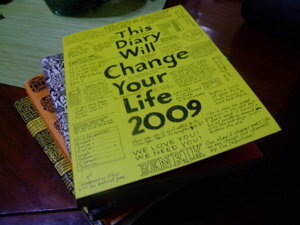 For four consecutive years, I used Benrik’s This Diary Will Change Your Life mainly because I liked the design and I found their weekly faux-tasks downright hilarious. I love British humor. But for some reason, they didn’t release one in 2010. Instead, they came up with a “Best Of” compilation which collects all their favorite tasks from all their previous editions. And it’s not even a planner. It’s just a book. The I-Was-Supposed-to-Get-That-Coffeehouse-Planner-BUT-I-got-Fat/Broke-on-the-10th-Frappe Planner. Written in Taglish and overflowing with wit. It’s now overtaking Starbucks in terms of planner ubiquity (in my office at least). In other related news, this year’s Starbucks planner looks more like a coffee table book. I haven’t used it yet. Accompanied my cousin Kim to Laguna yesterday to attend the christening of this cute little drool machine. Her name is Carmen Cecilia Angela Marquez. Or Precious, as her parents fondly call her. She’s the first-born child of fashion designer Manny Marquez who was the winner of Project Runway Philippines Season 2. 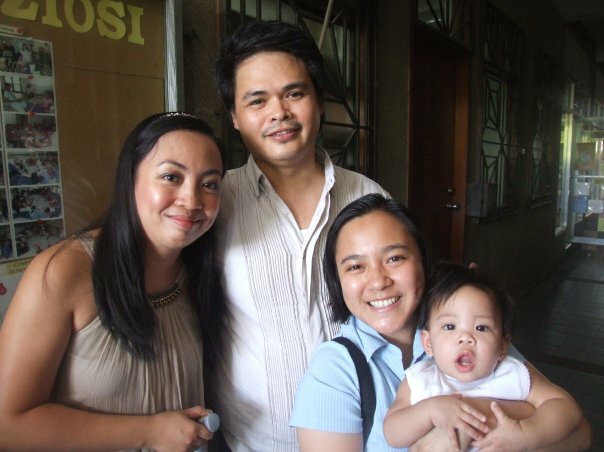 Kim was part of the show’s production team, which was why she asked to be one of the godparents. The ceremony itself was quick and simple, but it was preceded by a plodding lecture on the sacrament of baptism, replete with ill-edited introductory AVP and “recitation”. It felt like Grade 5 Christian Living all over again when the speaker snapped at us for being “talkative”. But it was fun seeing some of Manny’s fellow Season 2 designers. 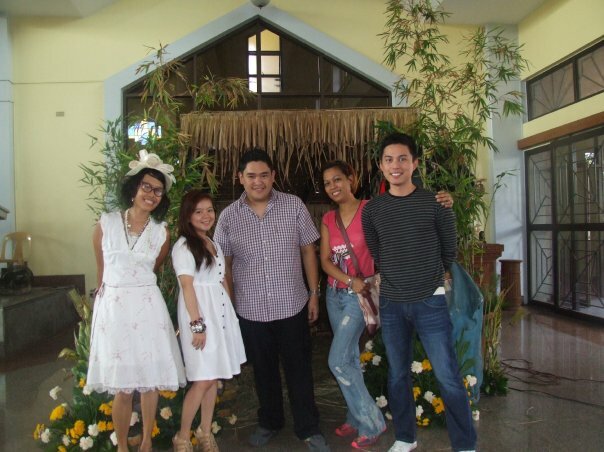 In attendance were Richie Bondoc, Hazel Sta. 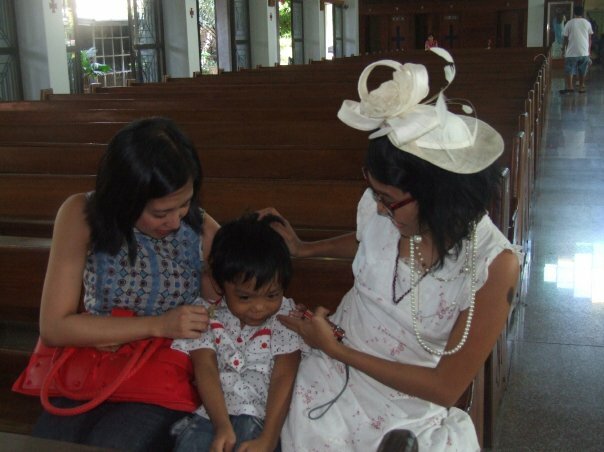 Ana, Jaz Cristobal and Tracy Dizon. 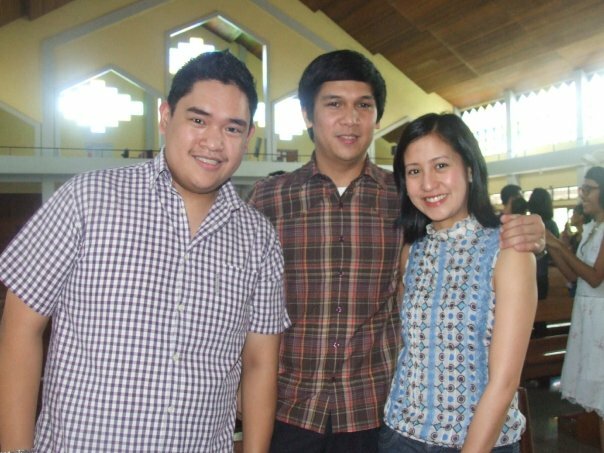 I was hoping my personal bet Russell Villafuerte would be there, but he was in the province at the time. Also among the godparents was Rivermaya drummer Mark Escueta, who was Manny’s model/client during the Rock Star challenge (which he won) . And much to the surprise of the other people in the church, he brought along a special date. Jolina is actually pretty in person. I’m glad she’s outgrown her penchant for over-accessorizing and tacky hair extensions. She’s also very friendly and down-to-earth. She sat with us behind Precious’ entourage and she was really quite a chatterbox. I was only reminded of her celebrity status when people started approaching her for photo-ops after the rites. Then, later than afternoon, we went straight to the clubhouse of La Marea Village in San Pedro for a delicious lunch catered by Conti’s. And since Mark and “Jolens” skipped the lunch for other prior commitments, it was once again Precious’ turn to take center stage. Such a friendly, photogenic baby!